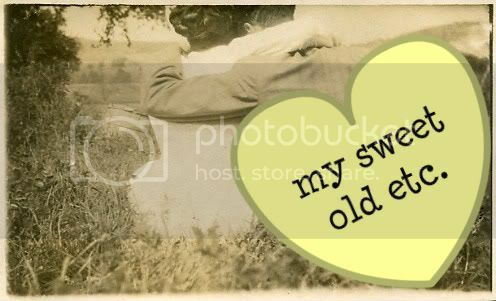 my sweet old etcetera: "You must allow me to tell you how ardently I admire and love you." So I finally got around to watching the BBC version of Pride and Prejudice. I bought the special edition set at Costco around Christmas, but I never had the opportunity to watch it until yesterday. What did I think of it? I absolutely loved it. I loved it even more than the more recent one starring Keira Knightley. 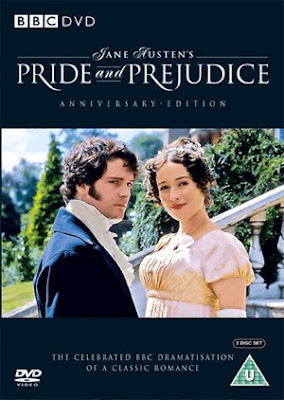 I think the stars from this 1995 version, Jennifer Ehle and Colin Firth, are Elizabeth and Darcy. They just are. And the fact that it was made into a six episode series just makes the adaptation that much more wonderful -- everything important from the book (as far as I could tell) made it to the screen. All of the characters were appropriately developed. And the sets! Oh my goodness, the locations, especially outdoors, were stunning. I have a thing for period pieces, and with Pride and Prejudice being one of my favorite books, I had high expectations prior to watching this series. I'm happy to say they were met and then some. Are you a fan of Pride and Prejudice, too? Which adaptation is your favorite? So I, as a avid hater of the Kiera version (the tramp RUINED Lizzy), have to ask... what do you think of it now? After seeing the BBC version, which to me is the only version that truly captures the spirit of the book, I can't watch any others. Darcy especially can only be captured by Colin Firth. To see anyone else play Lizzy... I just can't imagine it. Curious to see if this version has changed your opinion of the Kiera one hehe. Most definitely the BBC version. Keira is too "Keira", better cast as the silly sister. I wish Jennifer Ehle did more, I though she was perfect as Elizabeth. This is the only version as far as I am concerned. i love the bbc version.. because its basically the book in movie form!! they stuck so close to the lines. so its super long but worth it! the BBC version is the best, by far! I loved it. When I saw the Kiera one it seemed so rushed. Colin Firth was much more attractive & believable of a MR. Darcy too. favorite thing about the bbc version, is that Colin Firth stole my heart as Mr. Darcy. I have neither read the book nor seen either of the movies, but that last quote makes my heart swoon a little.